You might have heard of Évora, one of the most beautifully preserved medieval towns in Portugal with its fascinating historical monuments. Did you also know that Évora, capital of the Alentejo region, is a must-visit for food lovers in Portugal? Alentejo cuisine is one of the richest and most original in Portugal. 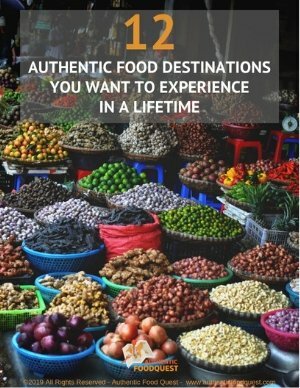 This unique cuisine has developed from the creativity of the poor rural farmers and natural ingredients from the land. Nothing goes to waste in Alentejo cuisine. Entire animals are cooked and used fully – from the pig’s nose to its tail. You’ll find pig ears, cheeks or chicken brains on restaurants menus. Known as the breadbasket of Portugal, you’ll find delicious wines, olive oil, cheese, Alentejo bread and the famous black pork. Alentejo is considered to be Portugal’s most authentic and picturesque region. Évora, the capital, is the ideal place to explore Alentejo cuisine. Here are the top 10 reasons why the food in Évora is a must experience for food travelers. Évora is a historic city in the heart of Alentejo and listed as a UNESCO World Heritage Site. 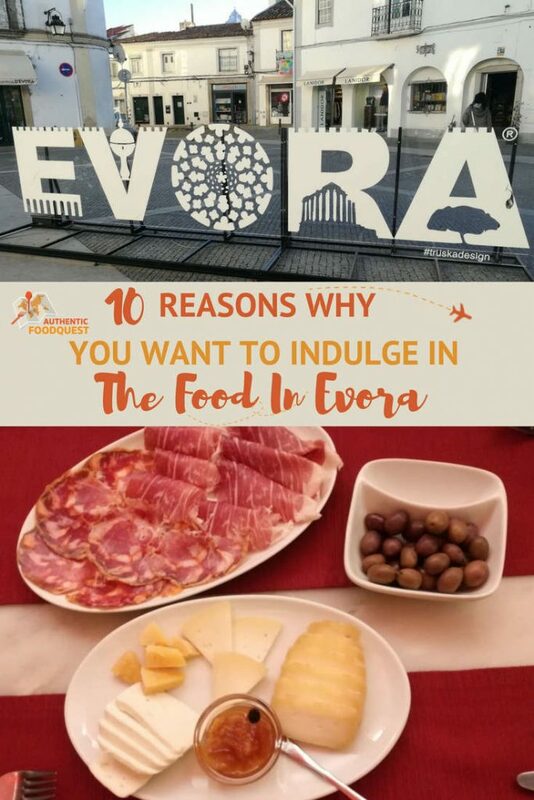 With gourmet and traditional restaurants, pastry and wine shops as well as a local farmers market, you will have many options to taste Évora food. Visitors are drawn to Évora for its Roman ruins, Moorish forts and cultural monuments enclosed within the 14th-century medieval walls. You’ll have plenty of opportunities to walk off the delicious food in Évora, as you explore the city. Across the local farmers market, don’t miss the unusual Capela dos Ossos, or Chapel of Bones, at the Church of San Francisco. 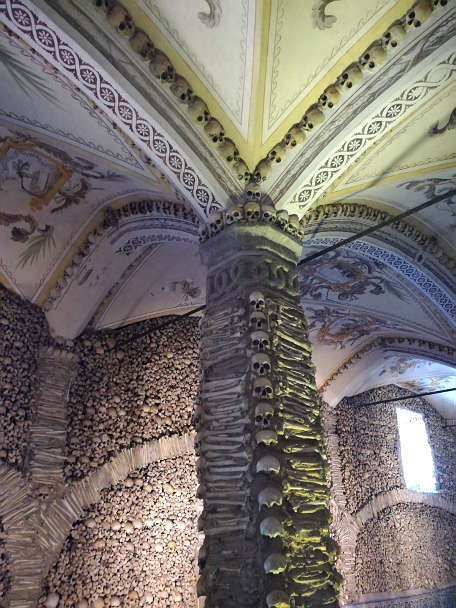 This striking chapel is made entirely of 5000 human bones and skulls. It was used by Franciscan monks as a meditative space to contemplate life and the human condition. Nearby the Chapel is the pleasant Jardim Publico where you can visit the Royal Palace of Évora. Further into town, and next to Cartuxa wines, you will see the vestiges of the impressive Roman Temple as well as Santa Maria Cathedral, the largest Cathedral in Portugal. As you walk through downtown Évora, you will notice the reminiscence of the Moorish invasion at the Palace of the Condes de Basto. Take a break at the Giraldo Square where all the streets converge. Soak in the sun and adopt the relaxed Alentejo pace! The Alentejo pig breed known as porco preto or black pig is one of the most renowned ingredients in Alentejo cuisine. What makes the flavors so exceptional is that fact that the pigs are allowed to roam freely in the countryside eating acorns of the cork and holm oak trees. These pigs are most commonly known as Iberico pigs (the Spanish name for them) and their ham, Jamon Iberico de Bellota is one of the most expensive cured ham in the world. What most people don’t know, is that not all of this pork is from Spain. Many of the pigs are actually raised in Portugal, in the Alentejo region, and they feed on the same acorns from Cork and Holm Oak trees as the Spanish pigs. Black pork, also known as raca Alentejana, is a specialty found only in the Alentejo region. This ham is protected under the designation Protected Designation of Origin (DOP). Porco preto is a favorite food in Évora and you’ll easily find black pork on restaurant menus. You’ll find it in dishes like plumas or secretos, which is pork shoulder. You can buy it from the butcher or enjoy it at a restaurant as slices of presunto (ham). And, you can also find it in traditional sausages like paiola. The meat takes on flavors second to none. The texture is unbelievable the black pork just melts in your mouth. It is truly amazing! The Alentejano bread or Pão Alentejano is the base of Alentejano cuisine. With its distinct shape, a round base with a head, you cannot miss this rustic bread on bakery shelves. Made with wheat flour from Alentejo and traditional yeast, it must be cooked in a wood-burning oven to be authentic. It has a unique very slight acid flavor. The inside is dense while the crust is thick and crispy. It can weigh anywhere from 2.0 to 3.5 pounds. Traditionally this bread was bought to last a whole week. 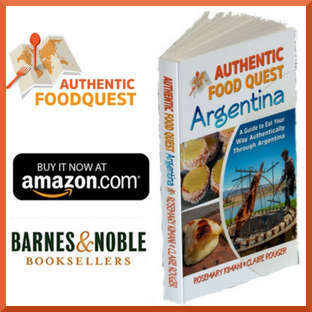 It is eaten in the form of soups, such as açordas or migas. Used either mashed and sliced it is found in almost all the regional soups. You can also have it served with cheese, olive oil, and black ham, making for a wonderful appetizer or meal. 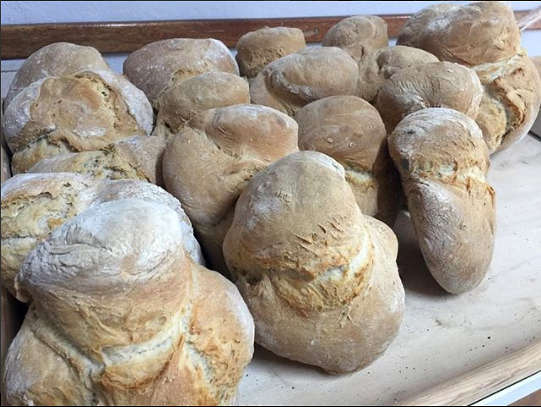 To buy Alentejano bread, head out to the market or a local bakery. One of the most recognizable Alentejo dishes are the açordas or sopas de pão which translates to bread stew or bread soup. 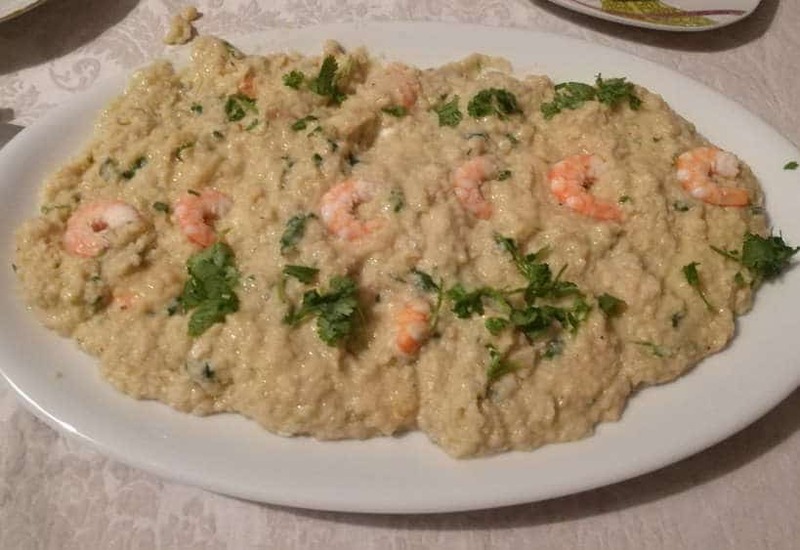 With an Arab heritage, açordas are usually made with coriander or pennyroyal (herb in the mint family) old bread, olive oil, garlic, salt, and water. This is the basis for all açordas. Depending on the season or wealth, different ingredients can be added to the stew. One popular style, Açorda á Alentejana is prepared as a soup with large pieces of bread mixed with garlic, cilantro and a poached egg in broth. In the Summer, açorda goes well with grilled or fried sardines, ripe figs, white grapes or celery cut into thick sticks. Another dish also made from bread and exclusively from Alentejo is Migas. 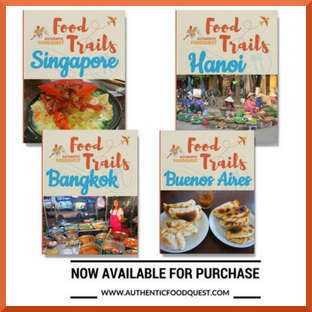 These are breadcrumbs that are fried in butter and typically served with pork ribs, cod or choriço. There is also a sweet version of Migas called Migas Doces, made with cinnamon, egg yolks, and sugar. Alentejo is the largest region of Portugal covering one-third. of the country. It borders Spain and goes all the way to the sea. Évora in the past, had limited access to fresh fish as it took days for the fish to get to people’s homes. With its thick skin, the cação or dogfish was the only fish that stayed fresh after a couple days of transportation. The Sopa de cação or dogfish soup is a very popular food in Évora. 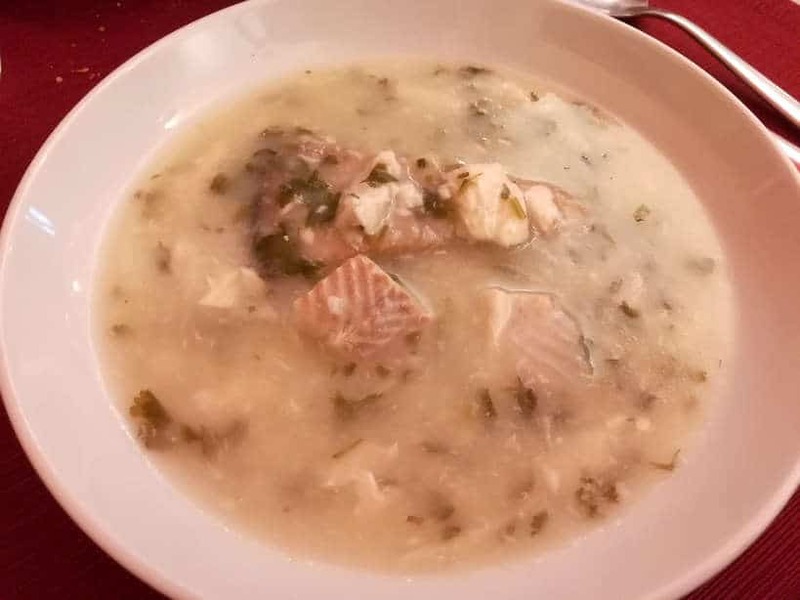 This fish soup is made with flour, bread, olive oil and “spiced” with coriander, a common herb in Portuguese cooking. The fish soup is very hearty and filling which can be eaten as a main dish by itself. You can taste an excellent Sopa de cação at Café Alentejo. Alentejo is the most important growing region for olive oil in Portugal. Almost two thirds of Portuguese olive oil is produced in Alentejo. The olive oil from Alentejo is protected under the designation Protected Designation of Origin (DOP). 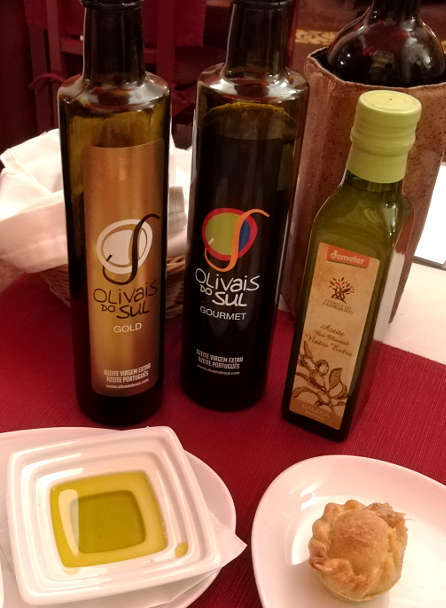 There are several varieties of olive oil and the flavors vary from the north of Alentejo to the interior of the region. The main olive varieties are Galega, Cobrançosa, Cordovil, Verdeal, and Madural. There is never a meal in Portugal without olive oil. 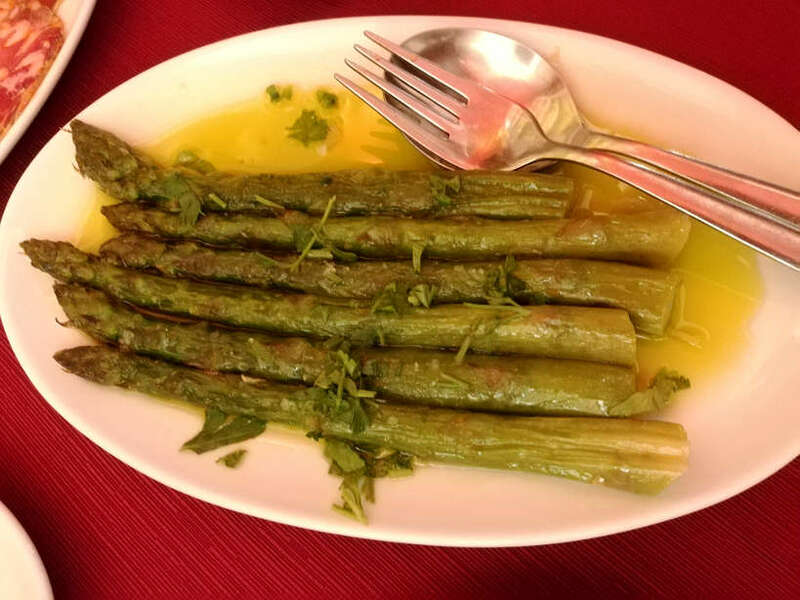 It is a vital ingredient in Portuguese cuisine and found on every dinner table. Meals are cooked with generous amounts of olive oil. Paired with Alentejo bread, you have the perfect start to savoring the food in Évora. 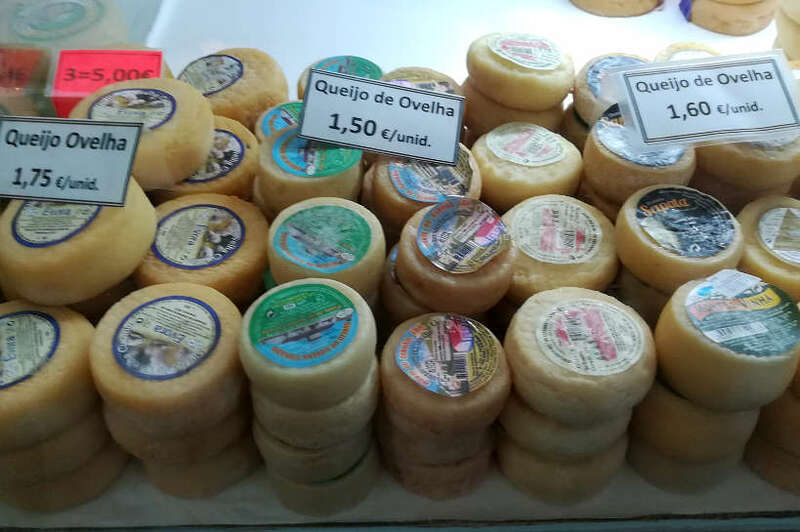 The Queijo de Ovelha or Sheep milk cheese is a common sight at the local farmers market in Évora. The shape is traditional, small and round with a golden crust. Like the olive oil, the cheese is also protected under the designation Protected Designation of Origin (DOP). The production of the cheese typically starts in November and runs until April, when the milk production is at its highest. Unpasteurized, the cheese can be eaten fresh or aged. When eaten fresh, it has a light salty taste with a slight crumbled texture on the inside. Older cheese typically aged for six to nine months, are dense and dry, and the taste is surprisingly softer. Thistle flower is used to coagulate the milk imparting a fresh herbal character to the cheese. As the cheese ages, the flavors become more strong and distinct. Cheese is often served before the meal with olive oil and Alentejano bread as part of the couvert. When paired with the red wines of Alentejo, you will understand how delightful the food in Évora can be. The essence of Alentejo cuisine is very much in harmony with the cycles of nature. 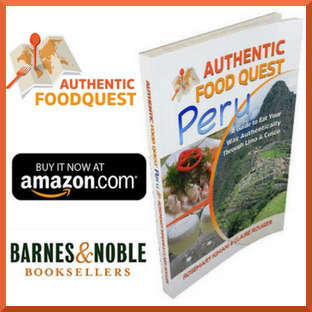 The cuisine is rural and simple and transformed with herbs like coriander, pennyroyal, mint, thyme, bay leaves, and oregano. In the Spring, wild herbs like thistle, sorrell and wild asparagus make for delicious seasonal dishes. The Summer brings an abundance of tomatoes, peppers, beans as well as a variety of fresh fruits. In the Fall and Winter seasons, the food turns to meat, with hunting in the Fall and pig in the Winter months. Herbs are not only used in food, but are also used to infuse liquors and cheese. Visiting Alentejo is a culinary journey into the seasonal and local produce. Expect an explosion of flavors and gain an appreciation for new tastes. And above all, delight in what’s in season. In 2014, USA Today, selected Portugal’s Alentejo region as the #1 Best Wine Region to Visit in the World. The wineries known as Herdades, are part of the culture and a must visit in Alentejo. By following the Rota dos Vinhos do Alentejo you can visit over 60 wineries and take tours of the vineyards, wine tasting and indulge in the local cuisine. There are numerous vineyards in Alentejo and their history goes back to the Middle Ages. The Romans are said to have influenced and developed viticulture and winemaking in the region. Portugal has the second largest number of indigenous grape varieties not found in other parts the world. A large number of these indigenous grape varieties are found in Alentejo and they impart a strong regional distinctive character to the wines. 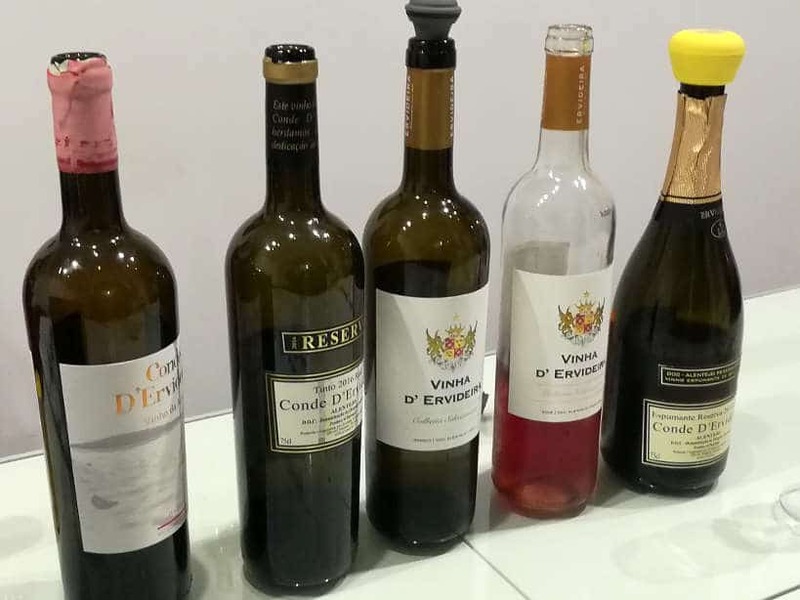 In Évora, you can sample local Alentejo wines at several places. Start at the Tasting Room – Wines of Alentejo, where you can taste free samples of the local wines as well as pick up a map of Alentejo’s wine route. At Adega Ervideira, an exclusive family-owned winery, you will be warmly welcomed and served generous tastings of their delicious Ervideira wines. Cartuxa, one of the oldest wineries in Alentejo produces some of the best wines from the region. Their Cellar Shop in the city also has a restaurant section. You can either sample wines at the bar or enjoy a meal accompanied with a selection of Cartuxa wines. The variety of sweets, desserts, and cakes in Alentejo is immense. Many of the sweets and pastries were created in convents and monasteries and referred to as Conventual desserts. These desserts are typically made with numerous egg yolks and vast amounts of sugar. Other common ingredients are almonds or cinnamon. Some of the popular regional treats not to miss are the Bolo Real or royal cake, Queijinho do Céu, little cakes with an almond, marzipan and egg cream filling. And one of our favorites, Queijada de Évora, similar to the delectable little pies from Sintra. Find many of these local sweets at the pastry shop, Pastelaria Conventual Pão de Rala in Évora. One of the most unusual desserts we tried is the Pastel de Toucinho, which translates into bacon pastry or pork pastry. This dessert comes from the use of the entire animal, a practice that defines Alentejo cuisine. Loaded with sugar with a smooth creamy texture, the slight pork taste is felt only at the very end. Born out of an immense passion for genuine Alentejo, the Vitoria Stone Hotel, where we stayed, is rooted in tradition with a sophisticated side. The bold architecture integrates the use of the local materials of granite and cork, in a very tasteful manner. The award-winning restaurant 5amêndoas Restaurante serves exceptional Alentejo food in Évora. The ingredients are sourced from small regional producers and they include the very best of Alentejo cheese, olive oil, meats, bread, wine and more. Located just 200 meters from the outer walls of Évora, Vitoria Stone Hotel is the perfect location to explore the city and the region. Get more from your stay in Evora, when you book any of the tours listed below. Simply click and book online. In Portugal, Évora may not be as famous as Lisbon or Porto. However, it is a destination that should be on every food lovers list. Alentejo cuisine offers a truly authentic experience where the local products are enhanced by seasonal spices and herbs. The dishes reflect the creativity of the people as well as the cultural and regional bounds. The food in Évora is good and can be described as honest food. 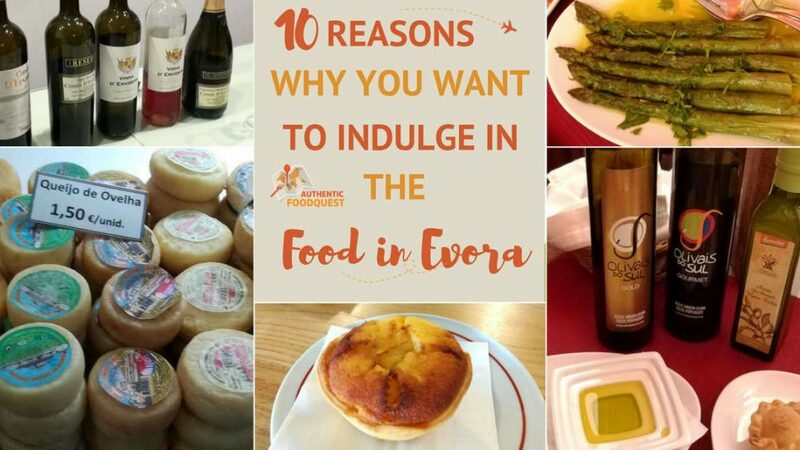 With these top 10 reasons to visit Évora, we hope we have opened your appetite to taste Alentejo and the food in Évora for yourself! Have you been to Alentejo, Portugal? What food in Évora has surprised you the most? Hours: Everyday 7:00 am – 6:00 pm except Monday closed. Address: Praça Joaquim António de Aguiar, nº 20-21 Apartado 2146, Évora. Uh wow, this is the perfect post for me to find today since I am travelling to Lissabon in two weeks time and was planning to go to Évora as well. I knew about the pork and the wine, since I tried them at my last visit to this region, but I am amazed by the grad variety of things I yet have to experience. Thank you for sharing! Oh wow, what perfect timing. You will enjoy going beyond the pork and wines. 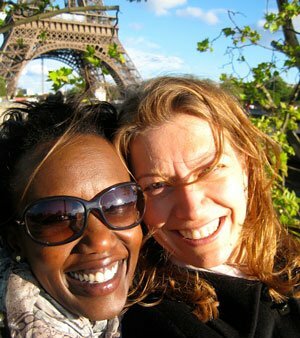 Have an amazing trip and be sure to let us know what you discover or try from this list. Cheers. While I’m quite familiar with the foods mentioned above, I’m most surprised by the black pork. As I can see in the picture, they just look like normal pork meat but I bet yes the taste is extra special and delicious that indeed melts in the mouth! Love wineries, too! I’d love to visit here and take one home. When you’re being welcome to taste their wines, you couldn’t ask for more! I prefer red wine tho over white! How about you? And yes save the best for last! I shouldn’t miss the sweets, Queijada de Évora! Love it that you are familiar with Evora and all the delightful treats. We both prefer red wines as well and the ones from the Alentejo region are quite smooth and inexpensive. Great food all around and yes, the Queijada de Évora is quite a treat!! Cheers. I’ll be honest, I haven’t actually heard of Evora, however now I’m really intrigued! The Queijada de Evora looks scrumpious, the whole area looks like a foodie heaven! Happy to have introduced you to a new region of Portugal. Evora is a foodie haven and a must visit. 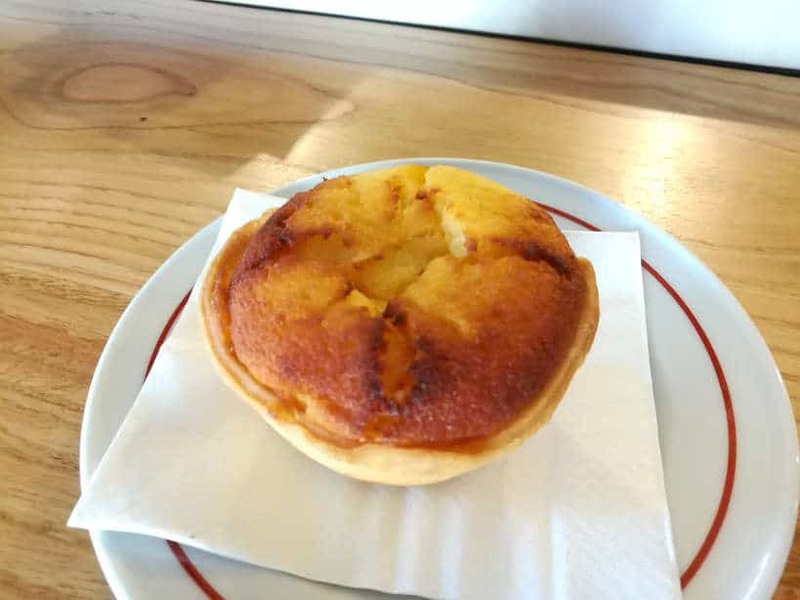 The next time you are in Portugal, don’t miss tasting the Queijada de Evora for yourself. Yum..! Oh how lovely! That Giraldo Square immediately reminded me of Lisbon. Don’t you just love the Portuguese architecture! You are right, the Portuguese architecture is so distinctive and beautiful. The tiles are magnificent indeed. 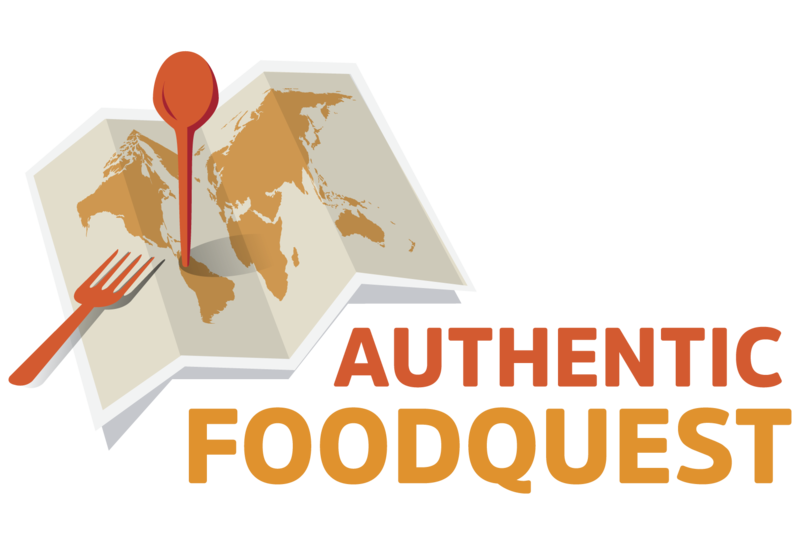 Sounds like you already know how good the food in Portugal is. Next time, don’t miss checking out Evora. Cheers! I been to Portugal a few times, love the food there but never heard of Evora before but I sure want to visit the place now for food. You sold me! Awesome to hear!! Evora is definitively worth visiting on your next trip. Glad you enjoyed the article. I think food from Portugal is highly underrated! I’ve never eaten anything that I didn’t love. Alentejo cuisine looks awesome, though the migas aren’t what they are in Mexico and Texas. I’m glad I read this before trying the Portuguese version. I’d be in for a surprise! Oh, that’s interesting. Had no idea that Migas were popular in Mexico as well. They indeed must be different. Totally agree, Portuguese food is underrated and it’s too bad because the food and wines are delicious!! We do love Portugal but have never visited Évora. We have found the food in Portugal to be generally very good but some of these dishes sound exceptional and of course, we are always partial to a glass or two of some good wine. What’s not to love about Portugal. Such a beautiful country, with friendly people and amazing food and wines. Next time, be sure to add Evora to travel plans. You’ll not be disappointed at all! 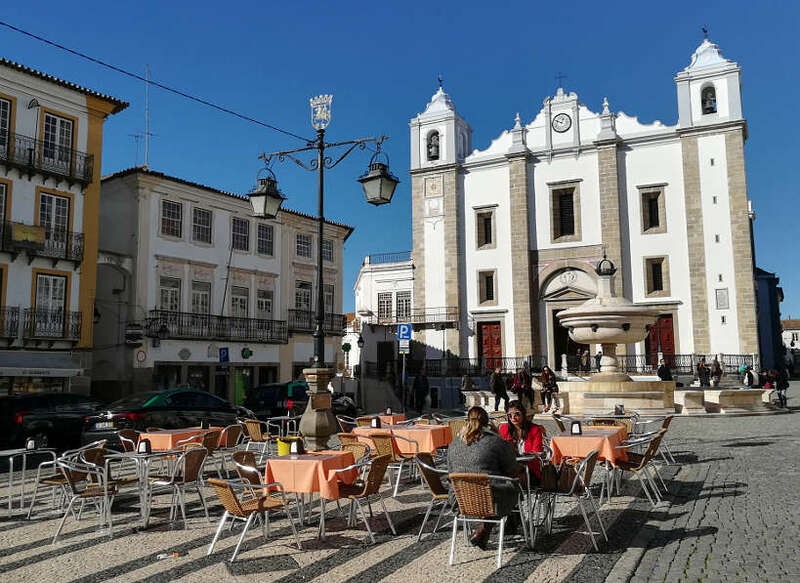 Thanks for this guide to Alentejo cuisine in Évora – I would personally probably travel for the UNESCO sites and medieval architecture, and food would be a bonus. Capela dos Ossos looks interesting!!! Reminds me of Kutna Hora in the Czech Republic which is exactly the same concept. Chilling, but fascinating at the same time! I’ve never tried dogfish soup, so that will definitely be a first! I would definitively recommend visiting Evora for the sites. It does contain the country’s richest medieval architecture still standing. It would be a truly fascinating experience. You can’t miss the food and wines though. The dogfish soup is a great place to start 🙂 Cheers. We will be in Portugal in November this year. I love these foods you describe, especially the black pork and Jamon Iberico. The Pork toucinho may be the forerunner of pork tocino we have in the Philippines! You must add Evora to your travel plans, Carol. 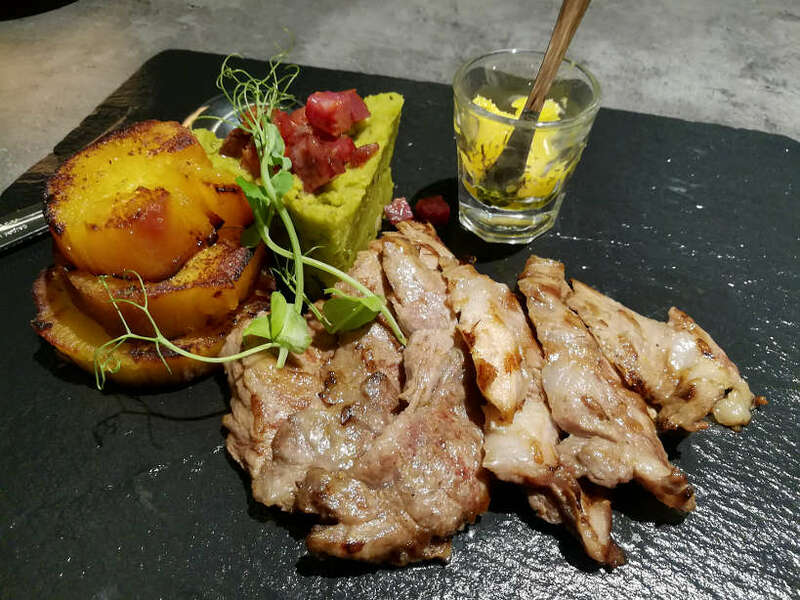 Your stomach will thank you 🙂 For the black pork, there is no better place to go than the Alentejo region. How fascinating that there is pork tocino in the Philippines as well. Is it also a dessert? By the way, November is a great time to be in Portugal. We’ll be a lot more content about Portugal, so keep coming back 🙂 Cheers. I didn’t know Evora is such a great destination for food lovers. However, I’m not sure how I feel about pigs’ ears, cheeks or chicken brains on my plate. It reminded me of South African “walkie talkies”, which are chicken heads and feet. The raca Alentejana sounds more palatable, especially when washed down with an Ervideira wine. Oh don’t worry about the pig ears, cheeks, etc. There is so much other goodness. If you stay with the black pork, you will be delighted. Definitively worth visiting for the food and the amazing wines. Cheers!